"At least we have got everything in hand. We have got the accelerator and the detector to find it. Everything is set up to measure and observe it. But now it's of course nature who has to decide whether the Higgs will be very often produced or is a rare animal to find. So in this sense we have to wait." 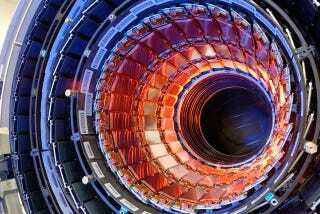 What's the Matter with the Higgs Boson?